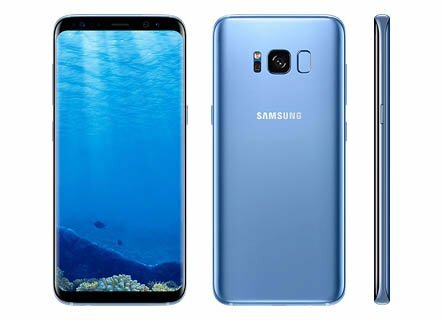 Samsung finally decided to transfer its curved edge display in core "S" series smartphones and now they have launched Samsung Galaxy S8+ along with Galaxy S8. This is the best phone you can buy in 2017 but we also found some Advantages and disadvantages of this phone. The key specs of phablet are 6.2 inches Super AMOLED Display, Android v7.0 Nougat OS, 12 MP Primary | 8 MP Secondary Camera, Snapdragon 835 or Exynos 8895 Octa CPU, 4 GB RAM, 64 GB ROM, 2 TB SD Card support and 3500 mAh battery. Although this phablet has 6.2 inches size but it doesn't look so huge because there is no area for bezels. Galaxy S8 plus is a very astonishing phablet with thin aluminum frame and curved glass that looks beautiful and the compact built feels incredible in-hand. You can find Volume rockers and power key on left, a fingerprint scanner is located to the right side of the rear camera, Bottom of the phablet housing 3.5mm audio jack, USB Type-C port & Speaker Grille. The Infinite 6.2 inches Quad-HD curved display forms perfectly symmetrical, singular object. The default resolution of the phone is Full HD 1080p but it can be changed to Quad HD+ from the setting for immersive crystal clear visual experience. A bigger size screen with such an exclusive display configuration offers an incredible experience of watching your content like videos, pictures or another kind of graphics. The display is protected with one of the hardest Corning Gorilla Glass 5. Samsung didn't change much about camera alike Galaxy S7 it also has 12 Megapixel sensor, an aperture of f/1.7 (which allow entering more light), the focal length of 26mm and features like PDAF (phase detection auto-focus), OIS (Optical Image Stabilization) and a LED flash. The sensor size is 1/2.5" with the pixel size of 1.4 µm for snapping clean and bright photos. The camera is designed in a way that it can perform well even in the night or low-lit conditions. The dual pixel sensor helps in taking true to life pictures. The Beauty of this camera is that it takes 3 picture whenever you capture a photo and processor and combine them in one cleanest and brightest photo. 8 MP Selfie camera is also a masterpiece that can cover a wide area and quality will be super. S8+ is launched with most advance and first 10 nm chipset of 2017, Snapdragon 835 in USA and Exynos 8895 Octa for European and Asian countries. The company claims Snapdragon 835 is 35% smaller and uses 25% less power than previous chipsets and it also offers exceptionally long battery life. Its LTE Band can give download speed up to one Gigabit per second. Adreno 540 GPU has 25% faster graphics rendering and 60x more display colors as compared to the previous version. On other hands Exynos 8895 is also built on a 10nm FinFET process offers Better battery life, 27% higher performance, 40% lower power consumption and 1Gbps LTE speed. Its Mali-G71 GPU is 60% better compared to its predecessor. So for the multitasking and Heavy Gaming this phone is a beast. In the memory department, Samsung shows discrimination on the basis of Nation as it is Ony available in China and Korea with 128 GB storage and 6 GB RAM. For 6.2 inches device, 3500 mAh battery doesn't look sufficient but the optimized OS and Advance Chipset that consumes around 25 percent less power from the battery tank can do some magic. So a typical user can easily get one full day battery backup from this device. the phone also support features like Fast charging and Wireless charging. A stunning curved design with 6.2 inches display. The quick fingerprint sensor and iris scanner. An incredible camera that can take a great picture even in low-lit conditions. The phone has IP68 certified dust and water proof body over 1.5 meters for 30 minutes. Samsung DeX's docking station works with an HDMI output and two USB ports, Where you can connect it with monitor and start work like PC. Uncomfortable placement of the fingerprint scanner. The aspect ratio of 9:18 can be uncomfortable for many people. Galaxy S8 Plus is compact 6.2 inches luxurious phablet. It has a Great innovative design with a curved display, Super CPU performance, A huge expandable memory capacity up to 2 TB and an amazing camera that can capture beautiful pictures even in low-lit conditions. few things are annoying like the placement of fingerprint scanner and aspect ratio (For Some people) but overall this is one of the best masterpiece from Samsung although you can also go for Galaxy S7 Edge which also has a curved display and now available in lower price. There is a flaw in the security features.